Retrorax are solid Pine 19 inch racks with character by Mixingtable. Sturdy and stylish dovetail joinery, patina finish and the same hardware found on our premium hardwood racks combine to make these racks a great choice for home studio style. And with a depth of 350mm they will house most 19inch audio gear with ease. Each rack comes complete with rack hardware, nuts and cages, and four rubber feet. Fully assembled and ready to use out of the box. 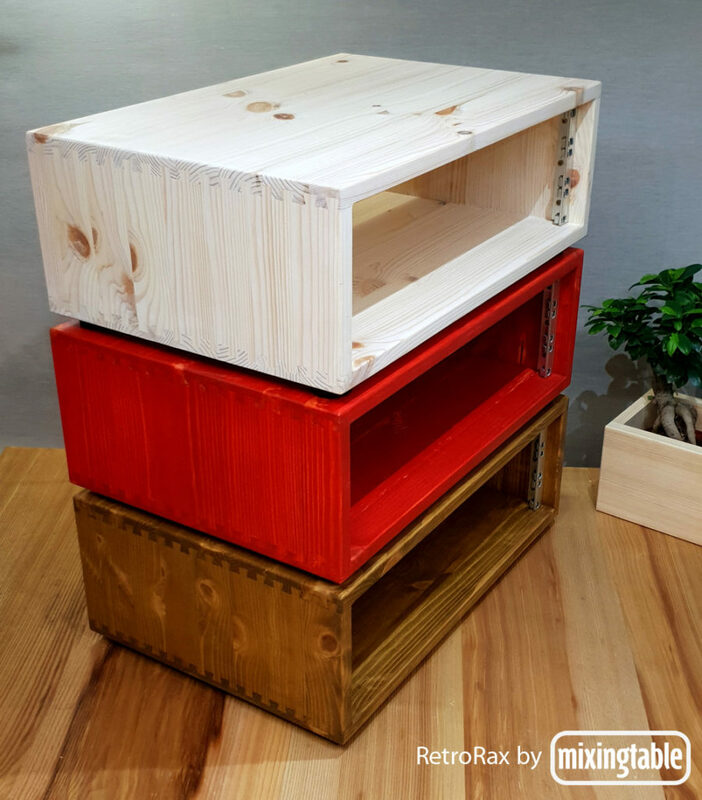 The stain finishes on the 3U examples shown below are from the top down White, Red and Walnut. You may choose your preferred color and rack size using the PayPal button. Custom colors and rack sizes are available. Please email us before you order if you would like that option. We make everything to order. Estimated shipping date 14 days from payment. 35 Euro shipping to any destination in EU. Solid Pine 19inch rack by mixingtable $35 Euro economy shipping to any destination in the United States.